I am in love with the FRICAINE QUEEN'S HAND SATCHEL! I really love the FRICAINE SEE FANCY EMBROIDERED HANDBAG!! FRICAINE SEE FANCY EMBROIDERED HANDBAG IS MY FAVORITE. I love this FRICAINE PRINCESS DEMI SATCHEL BAG. I really like the FRICAINE PRETTY BRIDE SHOULDER BAG. Love the Fricaine Queen's Hand Satchel. I like the Fricaine Princess Demi Satchel Bag! So pretty! I love the see fancy embroidered handbag. I would love the FRICAINE PRINCESS DEMI SATCHEL BAG. I am a handbag freak and really love this Fricaine bag. Please count me in to win. Thank You. The Queen's Hand Satchel is really pretty, too. I love the colors & patterns on that one. I really love the Fricaine See Fancy Embroidered Handbag. I love the bright morning handbag. Very pretty! I would love to win this for my mom, she would love it! I like the Queen's Hand Satchel! I like the FRICAINE EXQUISITE RATTAN HANDLE SHOPPER BAG (GREEN). Fricaine Princess Demi Satchel Bag. I really like the FRICAINE SEE FANCY EMBROIDERED HANDBAG. I love the princess satchel bag. They are all so beautiful. I love the colors. I absolutely love the Fricaine Princess Demi Satchel Bag. I would love to won the ALAKE EMBELLISHED TOTE. Gorgeous! You're welcome! Good luck in the giveaway! I like the Eleganza bag. I like its name as well. I also like their Chicanza Shoulder Bag. Embroidered bag. It would be a perfect gift for my best friend. I also like the Fricaine Pretty Face Shoulder Bag. I love the Princess Sacthel bag. I love the Amazonian red pattern bag! I also love the fricaine starlet backpack, so trendy and classy. I like the FRICAINE LAGOSIAN SATCHEL BAG, or the embroidered stuff. It's beautiful. I really like the Amazonian embroidered bag. 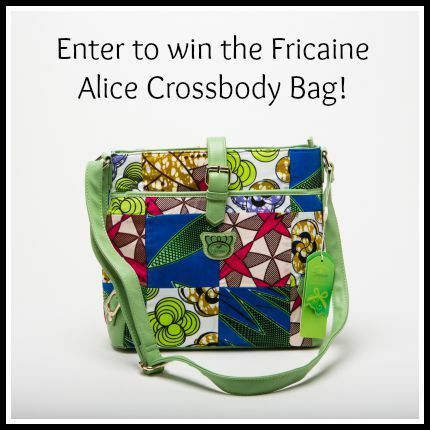 I'd like to win the FRICAINE QUEEN'S HAND SATCHEL. I would love to win any of the cross body bags. I think they are so fashionable and easy to use! I would really love to have the Fricaine Queen's Hand Satchel. It's definitely a favorite, I love the colors. Thank you. I like the Effico Hobo bag. I would like the pretty bride shoulder bag. I want the Fricaine Limelight Backpack. The Fricaine Cloud Nin Satchel Bag looks like a fun pattern! I really like the FRICAINE SPARKLE EMBROIDERED CLUTCH. These bags are just lovely! I really like the Alake Embellished Tote. ALAKE EMBELLISHED TOTE love this bag! I love the Queen's Hand Satchel. Your handbag has a European design, totally adorable, mh heart would be happy to win. hi, what fun handbags! loving the colors, especially the 'ALAKE EMBELLISHED TOTE'. nicer than anything i own! I really like the FRICAINE PRINCESS DEMI SATCHEL BAG. I like the Fricaine Princess Demi Satchel. I would love to own the Fricaine Princess Demi Satchel Bag. I love the Alake embellished tote! I recently went to a family member's birthday with nothing in my hand. She (potential recipient) came up to me and said that my presence was a gift. My heart started to wonder and tears almost came falling down as I have had injuries that made me unable to afford any gift.I came home in hopes I might come across something (and win a giveaway) and I saw the FRICAINE NEW HORIZON BACKPACK as she's about to return back to school and favorite color is purple. Thank you for sharing your heart with me. You seem so kind that I believe she meant it when she said your presence was a gift to her. I wish you luck in the giveaway! I love the Fricaine Eleganza Shoulder Bag. I admit it looks nicer than most of the clothes I wear but it would be so nice to actually look fashionable! I love the Princess Demi Sachel. Fricaine Princess Demi Satchel Bag is really nice. It would go well with my style. The Alake Embellished Tote looks very nice! I love the FRICAINE STARLET BACKPACK. I would love to have the Alake embellished tote, it is so very pretty. I like the Fricaine Jacquard Queen's Hand Satchel. It looks like a very great design. All the bags are beautiful. I especially like the Fricaine Cloud Nine Satchel Bag but I wish they had some smaller styles. My wife would love the Fricaine Queen's Hand Satchel. My wife would like the new horizon backpack.